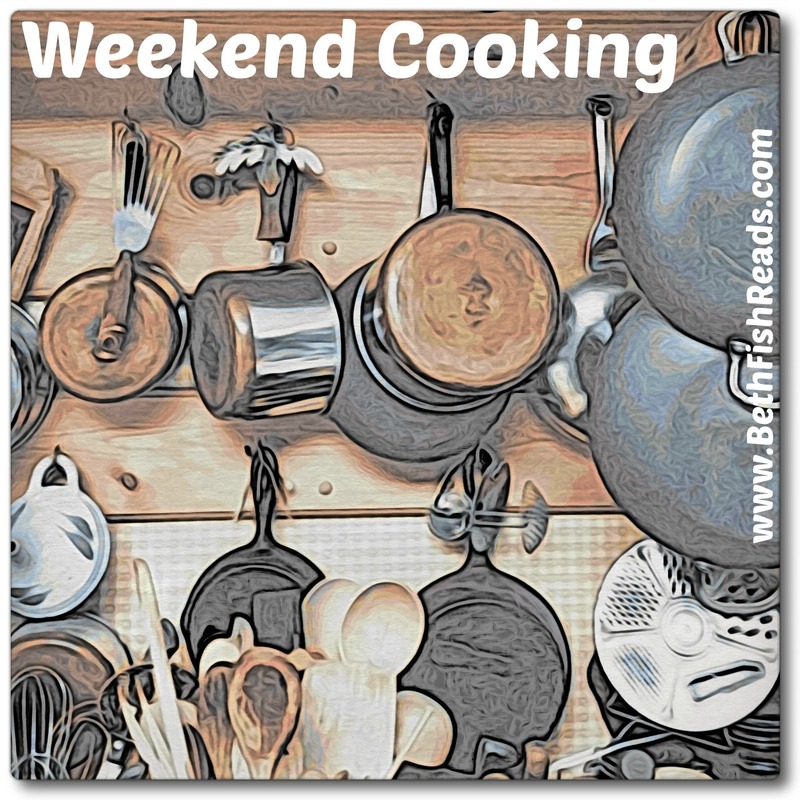 Do you love America's Test Kitchen (ATK) as much as I do? If you haven't yet tried their books and recipes, you're missing out big time on a trusted recipe source. Why am I a fan? Because they test, test, test every recipe, offer hints and tips, and tell you exactly why you need to use that ingredient or that technique. I learned to cook at my mother's and grandmothers' elbows, though I did take home ec in high school and experimented like crazy once I got my first apartment. I didn't use cookbooks geared to children because the recipes were so dumb. Every dish was a little too cutesy for me or was totally unappealing. Modern kids' cookbooks often have the same failings. So when I learned that ATK was coming out with a cookbook for children, I just had to take a look. Enter The Complete Cookbook for Young Chefs (Sourcebooks Jabberwocky, Oct. 16). Where was this cookbook when I was young? Or when I was in high school? I love this book! 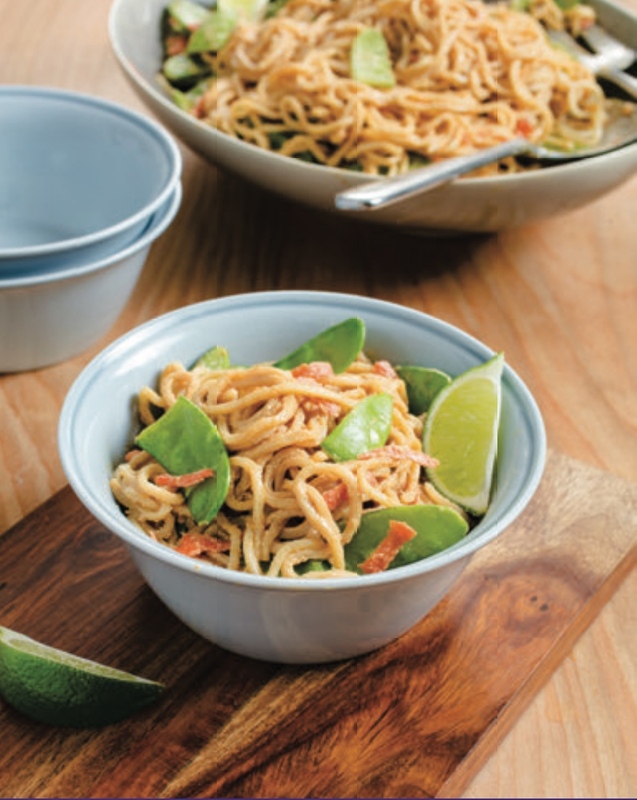 First of all, the recipes were tested by 750 middle schoolers, mostly in their home kitchens. These real kids made the dishes and gave honest feedback--the good and the bad. If a recipe was too hard or the flavors weren't there, ATK tweaked until they got it right in the eyes (and stomachs) of their young chefs. I so appreciate the general style of this book. The Complete Cookbook for Young Chefs makes no assumptions about previous skills and knowledge, but at the same time ATK respects its audience. In fact, this cookbook is perfect for any new cook of any age. Front of the book: The early chapters contain a ton of useful information, such as how to use the book, how to read a recipe, and what cooking terms mean (chopping, dicing). 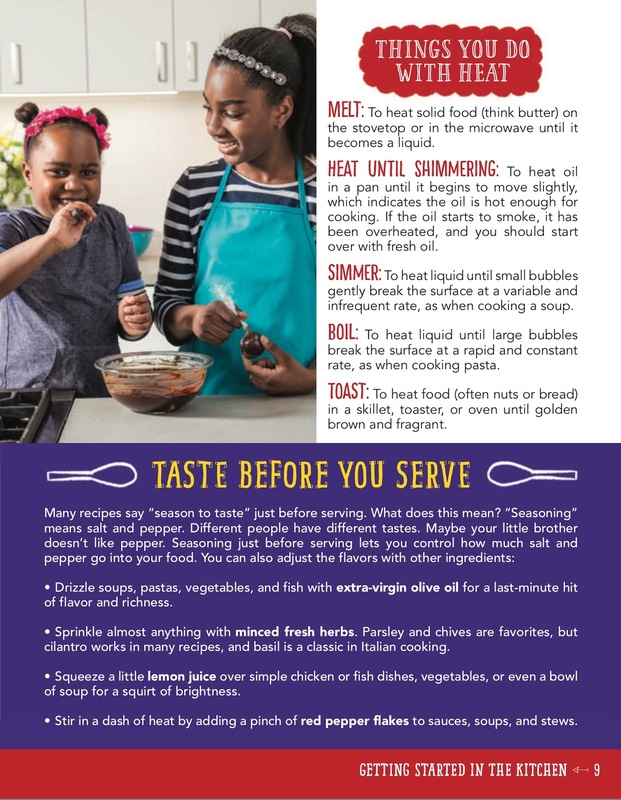 Young cooks will also find explanations of equipment and techniques and safety tips, all presented in fun fonts and bright colors. 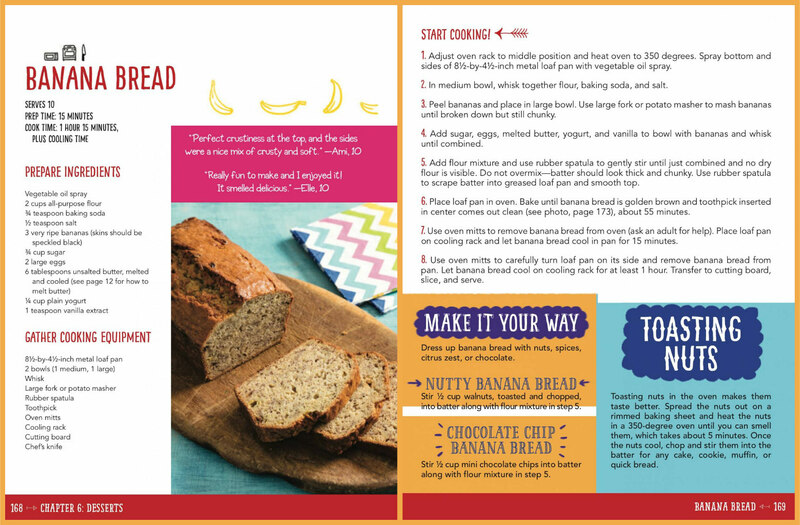 Back of the book: At the back of The Complete Cookbook for Young Chefs, interested cooks will find nutritional data for each recipe, metric and weight conversion charts, and information on healthy eating (such as how to make good food choices). 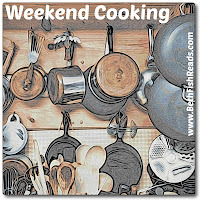 Each recipe is rated for difficulty, has an accompanying photo, and clear directions, including estimated preparation and cooking times. Many recipes include variations (called "Make It Your Way"), illustrated guides to techniques, serving tips, and reviews from the young chef recipe testers. Note on the scans: The photos and recipe scan come from uncorrected proofs and are used here in the context of a review. All rights remain with the copyright holder (ATK, Sourcebooks). I absolutely need this book, although I am very far from being a kid or even a twenty something! But I love cookbooks that don't assume you know anything. That would be my case! Also, I think cookbooks for young people tend to have more "real" food as you say, rather than stuff no one in my house would ever eat. Thanks for posting! I know what you mean about kids' cookbooks - they're usually for things you don't need a recipe for. I like the fact that this cookbook respects its audience. I'm far from young and still think I'd like it. That does sound like a good cookbook! Kids have a lot more options than they used to! 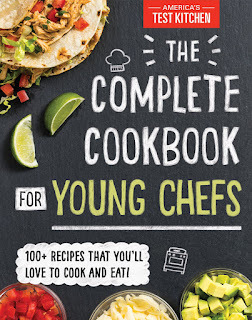 This book looks good for bookish kids or young adults, but I know that some kids also watch the cute, speedy Youtube videos that show speeded-up prep of flashy dishes, and others watch a variety of cooking shows (probably even ATK)! Sadly, there are kids now that just won't touch a book even though they are bright and curious. Maybe this one would turn them around. A great book for my grand-kids, and in plenty of time for Christmas too! They both enjoy cooking. What a great book for kids, teens or anyone starting out! I love that it doesn't talk down but looks bright, colorful and fun too. I will definitely take a closer look for gifts. Thanks for sharing. This sounds like a great cookbook choice to introduce children to cooking.